Finished Mar 2018. Final score: 3 / 5. I wanted to read a classic murder tale, and I got this for cheap. Who has not heard of Sherlock Holmes? This was story a bit hard to follow and a bit meandering. I was disappointed by the last murder novel I read. I decided to go straight for a classic, and I decided to go for volume 1 so I could read more. If this book was all Sherlock Holmes had to offer, I doubt the detective would be as famous as he is today. The story was simply not that good. There was a 5-chapter detour where Doyle discusses tension with the Mormons. The prologue warned me of this, and I did not find it very entertaining. The book did bring it together, but I could have done without it. An interesting fact that I did not know. The story was told in the 1st-person perspective of Dr. Watson. I'm curious to start on the next story to see if that is tradition. I also got to learn how the 2 ended up together. Apparently, Watson and Holmes are roommates basically by a chance meeting to split rent. Is that necessary for 2 professonals with no kids? I guess London was crazy expensive even back in the late 1800s. I also enjoyed learning about some of Holmes quirks. For example, he has expert knowledge only in fields that are related to crime deduction. Everything else, he knows less than nothing. For example, does the Earth revolve around the Sun? Holmes has no idea and does not care. Only non-crime knowledge he has is playing the violin, which best I can see is something he does to help meditate. The book held my interest, but it was just not a strong story. It felt a bit jumbled. I was looking forward to reading all of them, but I am now thinking of just focusing the more famous and well-liked editions. 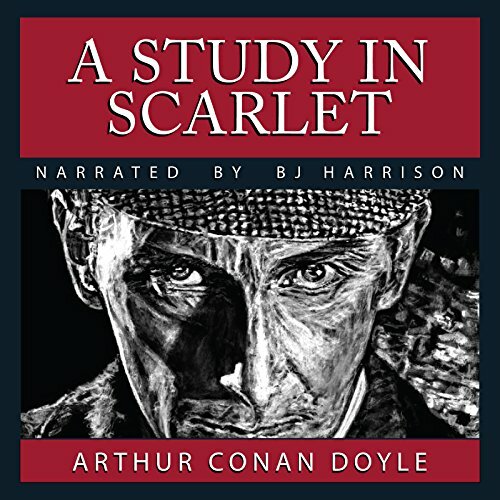 Discuss Sherlock Holmes: A Study in Scarlet in the forums.